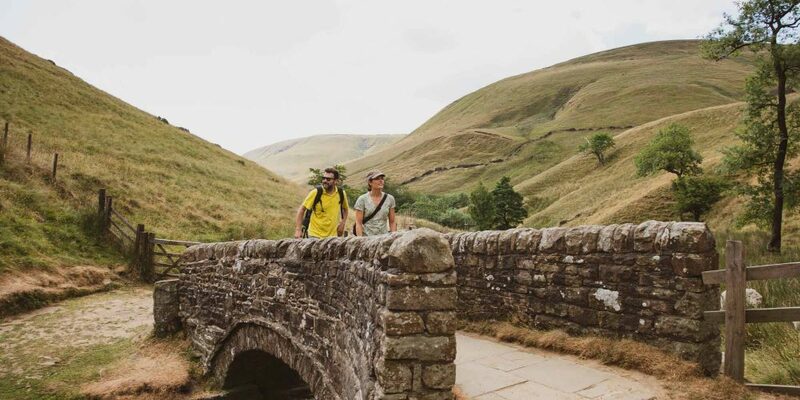 Walk the opening three sections of the iconic Pennine Way – England’s first National Trail – trekking across the wild massif of Kinder Scout site of the Mass Trespass that opened up access to the countryside for the many – blazing a trail for England’s National Parks and National Trails. A scenic taste of the emblematic Pennine Way, where you’ll tread the same rugged paths as the Kinder Trespassers, who fought for public access to the wide-open spaces of these windswept moors to escape the soot and grime of the factories in Manchester and Sheffield. 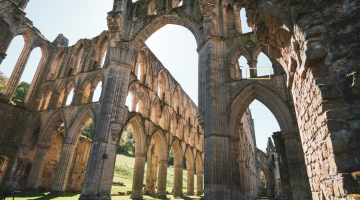 Our 4-day itinerary starts in the pretty Peak District village of Edale – traditional starting point for the Pennine Way and winds its way across the moors and valleys to the vibrant market town of Hebden Bridge, where a post-industrial town arts and crafts renaissance has transformed this former mill town. 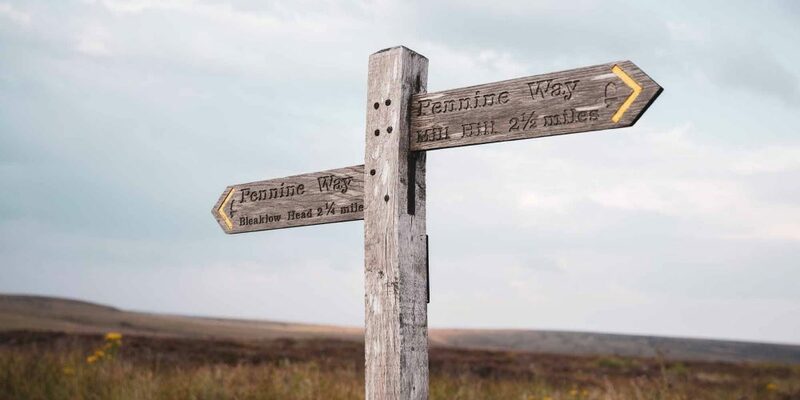 Stretching for some 68km/42 miles, this atmospheric slice of the Pennine Way experience offers a distinctive flavour of the entire 435km/268-mile route – following ancient tracks and drover’s paths over hill and dale and across the lonely uplands that form the very spine of England. 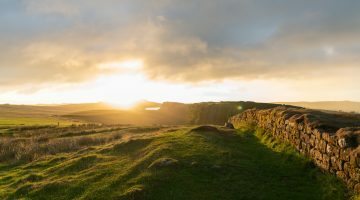 Along the way, you’ll encounter strikingly organic outlines of wind-sculpted millstone grit, ancient way-markers, ornate towers and re-purposed Roman roads amid the huge expanses of lonely moorland that characterises the Derbyshire Peak District. Starting in the pretty village of Edale – gateway to the Pennine Way – our itinerary crosses the Kinder Plateau and the lonely vastness of Bleaklow, visits the distinctive formations of Laddow Rocks and the prominent landmark of Stoodley Pike before descending into the valley bottom to wind up at Hebden Bridge. 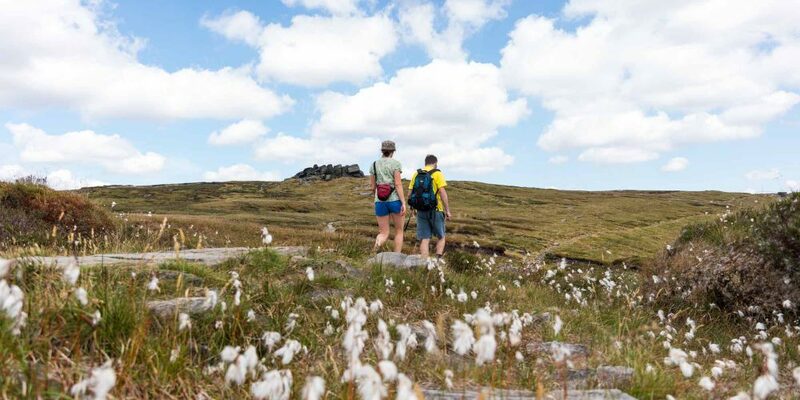 Accommodation is limited to a handful of B&Bs, hostels and inns on this section of the Pennine Way, but short detours to larger towns like Glossop or Saddleworth increases the options. Camping or glamping is another option – with sites at Edale, Crowden and Standedge. Plenty of accommodation in Hebden Bridge. Fly into Manchester or Leeds. Train to Sheffield. Edale train station from Sheffield (35mins), Manchester (45mins) or Manchester airport (1hr 25mins). Eurostar to London St Pancras, then train from Kings Cross Station to Leeds (1hr 40 minutes). Hebden Bridge is reached by public transport from Manchester or Leeds Bradford airports in less than 1.5 hours. Ferry to Hull, then M62 to edge of Manchester and A6 to Chapel-en-le-Frith and onwards to Edale. These hilly southern sections of the Pennine Way involve around 600-700m of ascent each day and the first day on the trail (Day 2) extends to 16 miles. 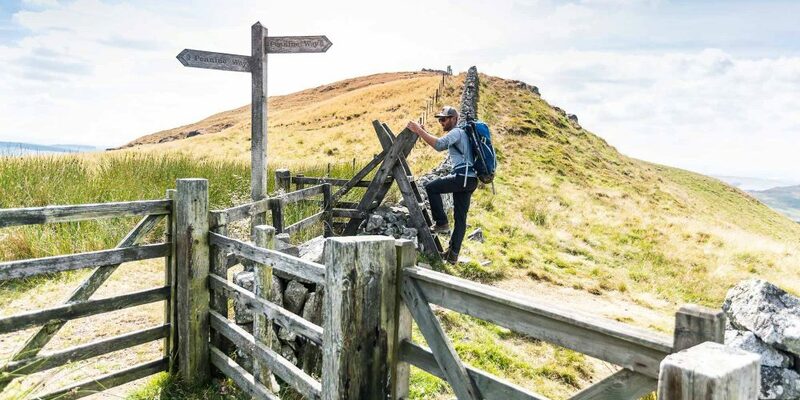 Regular walkers with a reasonable level of fitness should cope well, but for less frequent walkers with little experience of hill walking, a little preparation will make the experience more enjoyable. Options are limited to pubs and inns directly on the trail but detours to the larger towns offer more choice. A wide range of traditional ales is usually found on the bars of most of the pubs on or near the Pennine Way, with an emphasis on refreshing golden or pale ales. Hebden Bridge has a huge array of cafes, bars and restaurants – including vegetarian, organic and vegan options – and the highest concentration of independent breweries and pubs in England.